"... Can I use creacore with gnc whey protein ,together after workout...?" "... allmax bcaa- when do i take it? 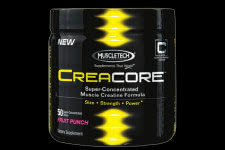 muscletech creacore- when do i take it?" "... I bought creacore and the girl at the store told me to take it a half hour before workout, where the container says right after. why would she tell me different?" "... Would it be recomended to use other pre workout supplements with con-cret"
Con-Cret is not a pre-workout, as in all it is is a creatine. A pre workout usually pump and energy ingredients. So the answer is yes, add a pre-workout such as PRE JYM. "... Why do the directions state to take Creacore immoderately after your workout while Con-cret and other brands tell you to take it 30-60mins before your workout? " Because it's a different product and different formula.. follow the directions for the product you are using. "... After about a 10 year break, I recently started hitting the gym to reduce my BF and gain back some of my muscle mass. Because it's been a while and I'm quite a bit older, I find it difficult to see the gains in a shorter period of time, so I bought some CREATE Creatine Hydrochloride (Revolution) and a bottle of MuscleTech AlphaTest. My question is do I take them at the same time or one before and one after my workout? and how long do I take them? Thanks!" Yes, you can take them at the same time. Follow the directions on each one for best results. "... Hello i normally have a protein shake after my workout can i mix the creocore with my shake ,thanks "
Yes, that will work great. Be sure it's right after your training. "... Pretty much in board with what most others are saying. Basically it's Con-Cret but with twice the dosing and cheaper with the addition of Fenugreek to help boost your testosterone levels. I just grabbed it on sale here for buy 1 get 1 which is a crazy deal. Highly recommend this, you'll increase your size, strength, recovery and overall muscular appearance." "... Hello guys, I am currently taking the Neurocore supplement. Is this Creacore a better choice? Thanks." There are different products. One is a pre-workout stimulant (Neurocore) and the other is a post-workout creatine. So it's actually better to take them both and get some real results. "... in regards to how often to take it, the store where i bought it from told me to just take it on workout days as he does but I want the best results possible so should i really be taking it daily as recommended and if so will it make me get even more bulkier? and does this mean i should also be drinking 2 whey protein shakes everyday as well even if i didnt work out? you also wrote i should be consuming 1.5 grams of protein per lb of body weight, how crucial is this?" No, for best results you need to take it as directed - not what some guy at the store said. Take one scoop on non-training days and two scoops right after training on workout days. Drink plenty of water all day as well. "... It really is one of the best new products out I cant complain and definetly recommend it to anyone who wants some serious Gains!!!! OH YEAAA BABY this stuff rocks!!!" "... I weight 180 pounds. Body fat 24%. i would like to loose fat and gain muscle. what supplement i should use? thanks"
I would suggest you use this creatine, plus add a protein shake and if you wish to lose fat then increase your cardio and eat healthier meals. "... I'm planning to start using the creacore next week to see what differences i will see and feel after my workouts, I generally try to work out 3-4 times a week, my question is how long will i have to use this product before i really start to bulk up + i will be taking bio x power whey as well?" It all depends differently on everyone, the way you train, how much you eat, how well you eat, how much you rest at night, your genetics, etc. But in general, within the first week your muscle will be fuller and harder, recovery will be up and from then on strength will rise following by new muscle mass. Be sure to keep your protein intake high, at least 1.5 grams of protein per 1.0 pound of body weight. alright so Ive been using this new creacore for about 2 weeks and its great im definetly seeing gains and lifting heavier amounts so thats cool very proper! I got another question though with regards to how often to take it, the store where i bought it from told me to just take it on workout days as he does but I want the best results possible so should i really be taking it daily as recommended and if so will it make me get even more bulkier? and does this mean i should also be drinking the whey protein shakes everyday as well even if i didnt work out? "... Making some really great gains. I am stacking two scoops of con-cret pre workout and using creacore for post workout. I was previously using the con-cret for about 5 weeks on it's own with actually good results but since stacking it with creacore a few weeks ago the results are much more pronounced. Friends are actually asking if I am on something because I can even notice myself my muslces are fuller and thicker, more vascular and strength keeps climbing from one workout to the next. Overall, a great stack and I highly recommened it. I am also using HydroWhey from ON post workout, fish oil, bcaa, glutamine and ADAM vitamins twice a day as well." "... Few weeks on this stuff now, I replaced my con-crete formula. Just to try something new and for the fact that it has twice the amount of hcl creatine. Con-Cret has 750mg per scoop and creacore has 1500mg, so makes sense to me especially since the price is almost the same. Anyways, getting good pumps and strength is still climbing as it did with the other one. This also contains Fenugreek so again, more bang for your buck. Some people might not care but for me, being on a limited budget I always try to get the most I can. Flavor is also great, using the Lemon Lime." "... Does creating makes you gain fat or get big? Thanks. " Creating? Do you mean CREATINE? No, creatine doesn't make you fat, what you eat and your lifestyle make you fat. 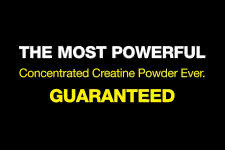 Creatine helps you recovery quicker, build muscle and strength faster and experience better muscle pumps at the gym. This version of creatine is the most advanced and a great choice for anyone looking at creatine today. "... Another beta tester here and just wanted to say it's a good creatine, bit comparable to the con-cret product but more of an energy kick which I prefer. Only had a few weeks worth but from the use I enjoyed it and will be using it once it's officially released." "... Where did you get your creacore from, I see it advertised in all the magazines but can't find a place anywhere online or in stores to buy it and supposedly no one knows when it going to be available"
From this site, best prices that I have found also. Just click the link at the top. Right now there is a Buy one Get one free deal.. again, can't beat it. My mistake guys, I got confused with the Neurocore product which I am currently using. It's available through this place and what I've found out is that Creacore is soon to hit the shelves as well. "... Really fantastic. I have already been using the alphatest with pretty good results and decided to stack them and glad I did. Works quite well and finding my strength increases have really been noticeable from one workout to the next - which is my main goal." "... Stacking creacore with alphatest, both from muscletech and it's a great combination from my point of view. 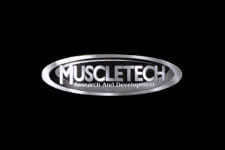 This is the first time I have returned to using muscletech stuff and I am glad I did. My friends are all using their neurocore pre workout supp and love it - I actually tried one serving of it and really got a good rush too. But I am not really into the pre-workouts besides the basics such as creatine. Works just as good. Overall good quality and worth the investment." Muscletech - CreaCORE - Creatine Concentrated! Say good-bye to your classic creatine monohydrate formula and experience true potency! Muscletech has really taken a giant leap with creatine supplementation with their CreaCORE creation! As part of the incredibly effective and widely popular new concentrated pro series, CreaCORE is one of the six other part that can truly take your fitness and weight training goals to the upper limits! These products are guaranteed to work or your money back, it doesn't really get any simpler than that and fitFLEX agrees! Be sure to take a look at their Myobuild, Neurcore, Hydroxystim, Nanostim and Alphatest products to truly get a glimpse of what can be possible. There is no doubt that CreaCORE will be an ultra fast acting and absorbing creatine matrix that will out perform any other creatine competitors out there! Be sure to check back for full reviews and testimonials from your only trusted reviews source, fitFLEX! Build New Muscle and Improve your Strength & Recovery FAST! Super Concentrated Muscle Creatine Formula for Results!